Inspired by this post on Reddit, I wrote this little script to do the same thing. 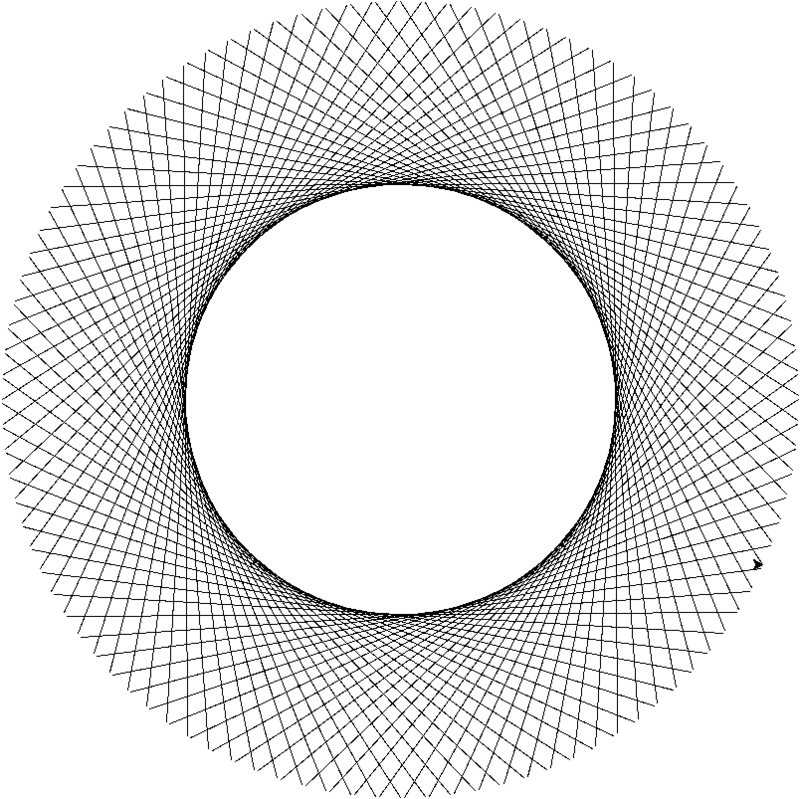 The circle is an illusion created by 100 straight-line tangents to an invisible circle. The tangents are created by drawing a chord in a larger concentric circle, and moving it’s endpoints around by equal increments 100 times. The larger circle’s circumference is defined by x=sin(t), y=cos(t), for t in the range 0 to 2*pi. So a chord’s endpoints will be defined by 2 different values of t.
Set r (radius) to 400 px.